Yes, today we’re addressing you directly. This isn’t going to be your usual Holiday Gift Guide, and we want your full attention (and so do the lovely people who’ve put work and intention into the gifts we’re about to recommend). We know you know, but we want to put things into perspective. Today, we have access to a lot of information: we can learn about how the world works and the ways we relate to each other, as employees and employers, as buyers and makers, as thinkers and consumers. Once we understand the mismatched power dynamics in these relationships, once we learn about it all through social media and newspapers and books and podcasts and conversations over the counter at our local cafés… there’s no way we can go back to not knowing. With these words, we intend to bring your attention to the fact that how we consume doesn’t work anymore, or at least, that there are ways we can really do better. Take you and I. I’m writing from a cozy little café, dressed in warm clothes and sipping on a hot tea I paid for with my credit card, and you’re reading from one of two electronic devices you own, probably also wearing the clothes appropriate for the weather outside your window, belly filled with nutritious food and a mind busy with the next Netflix shows to watch. You and I, dear readers, we have access to comfort and luxuries, and therefore, we have time and energy to dedicate to our less basic needs — and I think that means we have to help others who can’t enjoy those luxuries. Today is 2018, and because we know about how the world works, then it is our duty to be responsible. Responsible, from Latin respons-, the past-participle stem of respondere “respond, answer to, promise in return,” from re- “back” + spondere “to pledge”. Also, from Merriam Webster, responsible means able to choose for oneself between right and wrong. Without getting too political here (although it wouldn’t hurt, disagreement can be constructive if we let it), most of the Western world has celebrated Christmas at least once, regardless of their religious beliefs. Where I’m writing from, in New York, Christmas has the city dressed up in red and green, with lights all over, busy ice skating rinks under the Rockefeller and in leaf-less Central Park. And this particular holiday is also heavily associated with gifts, discounts, and good deals to make you as dizzy as spinning around in the middle of Times Square when the sky gets dark — it’s uncomfortable, unnecessary, and just too much. The societal pressure to consume, consume, consume during the holidays can be tough to ignore. So what can you do in the face of all those ads? Let’s go back to that word responsible, now: to be responsible means to respond in a way that is right. Surely, we know buying from H&M (or any other major fashion brand) will make our lucky family members happy with their new coat or scarf. But is it still the right choice after you know that the cute scarf was made by mothers working tirelessly in factories filled with chemicals– and that the babies in their laps have also been exposed to those toxins because they have no child care options? The documentary The True Cost shows the ugly side of fast fashion. The solution isn’t to stop buying from these big corporations that don’t treat their workers well, because then these companies might not be as profitable as they’d hope for, and those workers might lose their jobs. But it is important to think about it, talk about it at the Christmas dinner table and take action in some way. This year, we want to encourage you to think before you buy during the holiday season. To think about the consequences of your actions, and to make Christmas a holiday in the true sense of the word: a holy day, a sacred day that doesn’t discriminate. To us, being a modern yogi means allowing what you learn on the mat, in Patanjali’s sutras, and in meditation, to infuse into every single area of your life: to listen more carefully to what you hear, to question the way things work and people think, and to apply that ahimsa principle more broadly than deciding not to eat meat. The brands we’ve chosen to work with for the making of this piece each have some kind of social impact. All of them are using their responsibility as human beings to help with the overall wellbeing of our planet in one way or another, in ways that are near or far related to you as an individual. The platforms we’ve chosen to recommend will provide plenty of food for thought to nourish you in more than one way. We’ve chosen to share courses that we believe will help you reshape old thought patterns and take – here comes that word again – responsibility for your own wellbeing with love and patience. And finally, you’ll find our team’s favorite books: ones that made us lift our eyes off our books to get lost in thoughts, ones that shaped us in becoming the yogis, teachers, writers, and people we are today. We hope you’ll support these companies and authors the way they’re supporting us all, in their own small and big ways. May this be a part of the catalyst that will initiate change within you, that will encourage you to take responsibility for yourself – your stress levels and how comfortable you feel in your own skin – and the people who share this planet with you. You’ll notice that most products require a certain level of financial investment, which represents the level of mental investment these companies deserve. These are prices that respect all people involved, from conception to production to distribution, along with the use of materials sustainable for our dear planet. Some of these organizations even go above and beyond to make a lasting change in the world, for example, re-using plastic that would otherwise end up in landfills. We hope you’ll consider investing in quality rather than quantity this year. In this section, you’ll find items that you can wear knowing the materials used won’t hurt your skin, body, or the planet, and that the price you pay is one that reflects the amount of work done by everyone involved in making them. Mother Erth create bags and clutches with laminated aluminum discarded by manufacturers around Southeast Asia due to printing defects. They pair Filipino mothers’ know-how of the weaving art with an environmental crisis to find a solution: if not used for single-use drink and food pouches, this flawed material would otherwise end up in landfills. So, what do you get? This company was born out of the realization that change can only happen if it is all-encompassing – that is, if it naturally infuses into the way we consume and buy (hm, I feel like I’ve read that before…). Mother Erth intend to solve a problem by intentionally creating these bags rather than just selling beautiful bags for the sake of selling them. The right way? To the founder, Sean Kelly, it means in a way that will benefit every single being on the production line: our dear planet, the skilled makers themselves, and you, the person using the purse or clutch in your daily adventures. It’s durable, versatile, earth-restoring, and you know the crafty women behind its creation are paid fairly for the hard work they put into each and every bag. And Artisan’s choice, because it feels very special to know that the piece you’ll be wearing is one of a kind. Price: 65$. Easy returns & exchanges, 24-month warranty, international shipping (& free for US orders). Aid Through Trade works with talented Nepalese artisans, all women, who make beautiful jewelry with beads and cotton thread. Damian Jones, the founder, was inspired to start this project after traveling through Nepal and seeing how skilled women were at using beads to make unique jewelry. This is the beautiful Ambika, the woman who made the set of bracelets we received. But the more important realization was that no matter where the women lived, in the Kathmandu region or elsewhere around the country, their lives changed dramatically when they could get an income. Aid Through Trade empowers women through their work (a challenging thing to find if you don’t have access to education), but also through fair pay and the healthy and safe work environment they provide. The company has an office in Maryland, but also one in Kathmandu, Nepal, where they coordinate training, production, and quality control with three villages around the country. They’re also one of the founding members of the Fair Trade Federation. They’re made with high-quality beads and hand-dyed cotton thread. There are many colors for you to choose from, and all of them have creative names. Price: 38$ the set of 3 Roll-On® Bracelets. Lifetime guarantee, 30-day return and exchange policy, international shipping (& free for US order). Ksenia is a Canada-based artist from Ukraine. You might have seen her name around here: she makes some of the beautiful illustrations for our articles and has her own fashion brand of watercolor-painted scarves. Each scarf is creatively made, unique, and painted with love. You can explore the website to find two you like – buy one, and get the second free! Ksenia is offering a promo code this holiday season for all Shut Up & Yoga readers. That each piece is unique and artsy. You can choose between different kinds of silk (twill, modal) and different sizes (shawl, foulard, square). You’ll be sure to get inspired to create yourself as you wear Ksenia’s beautiful art! We want to warn you: if you like a particular scarf, make sure you get it before it’s gone, because then… it’s gone! Ksenia’s pieces are one-of-a-kind. Price: from 70$. Use the code SUAY to get a free scarf with the one you buy! The promo works while stocks last. The idea behind these shoes is that they mimic how it feels for your foot to be barefoot. In other words, they’re shoes that allow your little toesies to be freeeeee! Our movement-loving readers will already know that walking barefoot is very good for you: your feet are the foundation of healthy movement, and if you have healthy, flexible and strong ones, you’ll be much more likely to have good posture and better balance. Vivobarefoot (vivo means I live in Spanish) offers a solution to a common problem: more often than not, our shoes restrict our feet, and that results in all sorts of issues for our whole body, starting with pain in our feet themselves (squished toes, for example). This small family-owned company creates shoes that are wide, thin-soled and flexible so your feet can do what they do best: their natural thing. A basic everyone loves and likes to have in their minimalist wardrobe! It’s winter proof thanks to its thermal sole, making it a perfect gift for those of us living in cold winter regions. We also love that they’re sustainable. Read here about their leather alternatives, they also promote minimalism and, they even have a whole collection of shoes made from recycled PET. We recommend having a tour around the company’s blog to learn about foot fitness (this article includes 5 exercises to practice endurance, flexibility, and agility), their latest upcycled shoe, and how motor skills (developed through walking with Vivobarefoot shoes, wink wink) influence academic performance. The Chelsea Boot / You can take a test on Vivobarefoot’s website to see how healthy your feet are! Price: 200$. 100-day trial available so you can get used to the shoe. If you question their price, here you can read about their costs (we have to love their transparency!). Zen Nomad is a small clothing company where every product is made locally (in Canada), in small batches and using natural fibers, such as modal, bamboo, hemp, organic cotton, and linens. According to the founder, Sonja den Elzen, luxury cannot exist without the ethics of sustainability as its foundation. When Sonja started Zen Nomad, she was training to become a yoga instructor, and there was nothing that was stylish and made of anything other than polyester to wear. She wanted her skin to breathe, and it was important to her to have clothes that were both ethically made and that had style. At Zen Nomad, each piece is sustainable, made with high-quality fabrics, with low impact dyes as well as forage plants for their limited edition natural dye collection, a process that takes time (and love!) to be completed. This dress is the perfect choice if you want to bring more elegance into your or your fellow yogis’ closets. It’s made out of linen and is light to make you feel free and comfortable but also beautiful, and of course, responsible (wink wink). We do recommend taking a tour around the whole website, where you’ll be sure to be provided with lots of conscious options for both your casual lifestyle and yoga wardrobe. Price: 160 CAD$ (which means most of you will benefit on the low exchange rate!). Use the code SHUTUPANDYOGA15 for a 15% discount at check out from November 28 to December 24. Jade Yoga is a family-owned company that makes eco-friendly yoga mats, and they give back to the earth: a tree is planted for every mat sold – with over one and a half million trees planted so far! The mats are made sustainably with natural rubber tapped from rubber trees, a rapidly renewable resource that contains no PVC, EVA, or any other synthetic rubber. In addition to being eco-friendly, Jade mats are made in the United States in compliance with all US environmental, labor and consumer protection laws. They also come in fun colors and have incredible grip and comfort, which make them a particularly good fit if you practice in warm conditions (or if you’re a hot yoga lover). Price: 79.95$. You can choose a longer mat if needed (great for men and taller women). Click here to find a list of international distributors if you’d like to avoid shipping. Sudara is a lifestyle brand that creates jobs for women in India who are survivors of human trafficking or at the highest risk of becoming victims. They pay living wages and provide access to counseling, medical care, and resources that empower women to create their own self-sustaining future. Sudara offers beautiful and comfortable clothing with a freedom-filled purpose. Their women’s pajama pants, loungewear, and robes are ethically-made in India through living-wage employment programs. Every purchase is helping empower women in India with the resources and skills they need to create a better life for themselves and their family. They offer beautiful prints, side pockets, and a flattering fit, and come in 2 sizes, which makes it respect our bodies’ natural fluctuations and takes out the stress of choosing the right size for a gift. Each robe also comes in a handsewn, matching fabric bag that makes it easy to gift as is! Price: 79$. International shipping. Make sure to check out all the best sellers to benefit from a 40% discount. Click here to see when you need to order to get the gifts by Christmas day. In this section, you’ll find resources to nurture your mind in new ways, mostly through learning and opening up to new thinking and pieces of knowledge. Knowledge is power and power is an important part of how we change the world! If you’ve browsed through our website, you might have seen invitations to click on Mindvalley University banners. Although they bear the name ‘university,’ this platform believes in the idea that school is life, and that learning is an adventure that should never end. 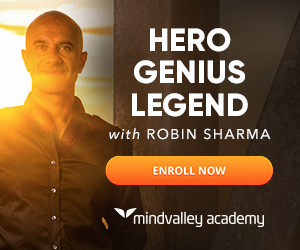 The Mindvalley organization was created out of the desire to change the way we receive – and offer – education. Because we live in a world where we have access to so much information, their take is that what we need is to learn how to be better parents, partners, workers, how to incorporate mindfulness practices into our day-to-day and find the best ways to feel at ease in our bodies. The idea behind this course is to reframe how we view money, taking out the choice we often feel we have to make between being financially healthy or spiritual. 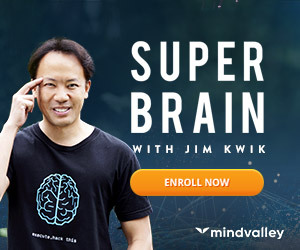 This course will teach you how to leave that very limiting mindset behind and will show you how to use your desire to be a conscious and spiritual being to be financially stable– and even better, to get to a place where you don’t have to worry about money. The 8 topics related to money you’ll go through during the course: spirituality; self-worth & deservedness; balance & enjoying the journey; money management; purpose & passion; fear & how to handle it; relationships (! ); income & freedom. Price: 299$ – that’s a 70% discount, visit the site to learn more. Money back guarantee, payment plans available. Includes the 8-week program, and 3 bonuses to perfect that new relationship with money (including audio visualizations, a principles manual, and a tracker). Founded in 2009, Creative Live is a creative education platform where you can learn about anything from photography to business marketing, time management or embroidery… Chase Jarvis and Craig Swanson, the founders, decided to create a platform where people could take workshops that would inspire and support them with the tools to develop their creative skills. How? Having world leaders talk about what they do best and making it available to you and I so we can learn from them and implement their knowledge into our own lives and projects. Today, you can even have access to workshops as they’re being broadcast live. They have 1500+ curated classes you can browse through, taught by 650+ world-class instructors… 10+ million students watching. This is the story of Yasmin Abdi, a young girl who didn’t have the chance to go to school and started learning about photography through Creative Live. It’s very touching! You get to approach topics like the famous design thinking method, work-life balance (who doesn’t need that one), tools to plan the next couple of years, the neuroscience behind decision-making… And a whole lot of other things you should be curious about right now. Both instructors have taught in Silicon Valley universities (Berkeley & Stanford). Price: 139$ (instead of 199$). Watch out for sales – they often have classes for 15$ and also offer a yearly membership with unlimited access to all classes for 299$/year. Masterclass is another learning platform featuring la crème de la crème of all creators on this planet: film-makers, bakers, writers, musicians, scientists… We see them on TV and hear their names in the news, and through Masterclass, they teach us the most valuable lessons they’ve learned throughout their careers. Each class includes somewhere from 18 to 30 videos (ranging from a couple of minutes long to 30 minutes), and each comes with a pdf or syllabus that goes through the main points of the video and gives you a couple of instructions to practice what you’ve just learned. When you do that homework, you get access to a forum where you can submit your work, writings, questions, and discuss topics with other people who’ve taken the class. This one touches on the restoration of our dear planet Earth, and if we’re honest, we were quite surprised to find an actual class on it! Jane Goodall shares her life-long research on animal intelligence, our relationships with them and our environment, and how the way we live has to change to protect them – and ourselves. How is possible that we’re destroying our only home? Price: 90$/class, or 180$/year with all access. They offer 45+ classes given by world-class leaders such as Margaret Atwood on creative writing, Martin Scorsese on filmmaking, Mark Jacobs on fashion design and others on acting, cooking, even chess — so if you were wondering, yes, it’s absolutely worth the money. This one isn’t a gift per se, although you will find options to turn it into a gift, but it’s a topic we thought could be interesting for us all to bring up at the Christmas dinner table or in between drinks on New Year’s Eve. Moment is an app that tracks your screen time, how many times a day you pick up your phone, and it can also track which apps you use the most. Like with the latest iOS update, you can schedule daily screen-free time, and also have 5 or 30 minutes whenever you want. It also shows how much of your waking life you spend on your phone (the average is 23%). The app has a ‘coach’ section where it offers courses to help change habits around your phone usage. The free one they have available is called ‘Bored & Brilliant’: it’s a seven-day course that suggests a task/day for you to do to rediscover what it feels like to be, well, bored. It’s easy, straightforward, and one of the most practical ways we’ve found so far to truly take your yoga off the mat in our modern, connected world. We don’t realize how much of an impact our phones have on us until we get shown what is it that makes us waste time on them. The yearly subscription to have access to all (!) of their courses is 59.99$ (or 7.99/month). They have a 7-day free trial, so you can take time to be curious – they even have a course to help your family manage screen time! Krissie is the wonderful creator of this beautiful journal. It was born out of the idea that gratitude plays a key role in our physical & mental wellbeing – and in a world where we so often forget how to simply be, we need outlets & spaces where we can bring ourselves to the core of being. 14 talented artists contributed to the making of this journal, sharing through their work what gratitude means to them. This journal is designed to give anyone a ‘back to basics’ opportunity to create precious moments of peace & appreciation. When we consciously take the time to reflect on the good stuff of daily life, we constantly create opportunities for wonderfulness. The journal is made up of space to write 3 things you’re grateful for 365 days a year, with no date so you can start whenever you want. There’s also space at the end for reflection, and a page to list your fondest memories of gratitude after the year has passed. It also includes colorful pages to ‘write – doodle – dream,’ 5 essays on gratitude, beautiful art (illustrations & photographs) and thought-provoking quotes from philosophers, writers, and gratitude experts. You’ll find 5 essays to inspire your gratitude practice. The countless thinking prompts carefully chosen by Krissie. The beautiful art and photographs catch your attention (and might have you writing down that you’re grateful you can see shapes and colors with your eyes), and the essays will add dimension to your gratitude and help you truly feel it in your bones. Actually, we’d definitely consider self-gifting this one. Price: 32€ (about 36$). International shipping. Leo Cheung is the designer behind this beautiful and dynamic-looking journal; after taking her teacher training in 2017, she wanted to use her design skills to make yogic knowledge accessible to her students in a creative way, and allow yoga to become yet another way to express playfulness and curiosity. Yogamania was born out of a desire to give students an overview of what yoga is about in our modern world, which is why you’ll find information about yoga anatomy, breathing techniques, the koshas, and the 8-limbed path, but also on yoga pants and materials used for clothes, yoga festivals around the world, and even yoga blogs! Yogamania successfully launched through a Kickstarter campaign. This notebook is made of 34 illustrated pages that make up your mini yoga dictionary, 80 yoga posture cards categorized into 8 basic types (breathing, standing, backbends, etc. ), 34 lined note pages, and 72 blank pages to take notes on. It also has an expandable pocket inside and an elastic band around it that comes in 5 different colors. Learn about everything from yoga pants to breathing techniques and the Koshas & Chakras. In this section, you’ll find our team’s favorite books! Some of them relate directly to yoga and will help you take your learning further. Most of them have to do with nurturing your curiosity & taking your mind to new places. This is also a section where you’ll learn about each of our responsibilities in the team and get to know who we are! Pssst… We do recommend getting these books from your local libraries, second hand, or in ebook format. Anastasia (or Nastya for short) is the founder of SU&Y and a real Swiss Army knife! She wears the business management hat, but also the hats for customer service, editor, creative director, web designer, marketing manager and all around joke-maker (and excellent GIF-finder). She lives in Toronto, Canada. As yoga practitioners, we often limit ourselves to studying texts on yoga, and perhaps tantra and Buddhism. The Path gives an alternative and absolutely fascinating interpretation of the world and our roles in it. While some ideas seem to complement Vedic philosophy, others challenge it completely, making us question the value of meditation and concepts like karma, among others. While this is a book on philosophy, it is uniquely practical and clear – you’ll find advice on restoring your energy and even becoming a more charismatic person. Despite Anastasia’s 300+ book to-read list, she can’t wait to read this one again… So that’s saying something. The course of love is the much-needed book that shows both beautiful and ugly sides of ordinary relationships. While our happy-endings obsessed society might see it as slightly pessimistic (the couple in the story grows bored and restless with each other; the husband cheats on his wife and never tells her the truth), it’s actually life-affirming and insightful. The Course of Love is a cure for our fear of settling that stems from an even deeper fear of death. Ksenia is also one of the minds behind the founding of the magazine — she’s the art director and makes sure our articles have beautiful and creative illustrations. You’ll often hear her say how grateful she is about the beautiful weather and for being surrounded by like-minded people – a true light for the team! Ksenia lives in Toronto, Canada. Funny, entertaining, and doesn’t beat around the bush, this book is about realizing that it’s okay – and we should! – leave the philosophy of it’s all butterflies and rainbows and good vibes only. It addresses a big issue in the United States that is the pressure to always aim higher, for better, smarter, stronger. A millennial’s version of existentialism and Buddhist theories, if you may… With a light-hearted tone. If you’ve heard about Latin-American literature, you’ll definitely have heard this title before: it’s a classic and the book that established the genre of magical realism. This book tells a family story and shows all its madness. After reading it, you’re left with an impression that our busy-ness is an illusion, that we have a small perspective on things, because after the 100 years have passed, you understand that nothing in the family has changed — and because everything is so insignificant, you’re left with the impression that you can relax and enjoy rather than worry. Ely schedules all our content, does the editing of articles alongside Jaimee, and gets in touch with artists and creators for us to interview. She takes part in the general brainstorming for the future of SU&Y and reminds Anastasia not to go to bed at 2.30am every night. Ely lives in New York City. The author tells oh so very skillfully, in beautiful language and organized thought, what (somewhat recent) research has discovered about introversion and extroversion. Introversion, they’ve found out, isn’t so much about being anti-social and extroversion about being party people; rather, they point to differences in ways both types process information, perceive the world around, and receive stimulation. As the title indicates, that research is meant to give tools for introverts to feel less inadequate when they don’t feel like talking in a world where, well, it can be challenging to just be quiet. This is an absolute must-read for introverts & extroverts alike. Matt Gross used to be a travel writer for the New York Times and in this book, he retells his love for traveling in a somewhat disorganized way – a bit like the way thoughts arise when you’re sitting on a long bus drive and you let your mind wander to places you’ve been, wondering about life and having epiphanies about who you are. This one is perfect for the ones who like to wonder why we travel and what we hope to get from it. Garrett is one of the senior writers here at SU&Y; he wrote our book “5 Common Yoga Injuries & How to Avoid Them.” He is a chiropractor and yoga teacher, so he helps to make sure all our readers get to learn about the body, how to teach and practice yoga safely, and he also chips in when we need to make sure all anatomy info on the website is true and accurate. Garrett lives in Huntington Beach, California. Kelly Solloway is a yoga instructor, licensed massage therapist, and anatomy teacher, and in this book, she shares her knowledge of the body through text and illustrations you can color. If you’re a curious yoga practitioner, movement lover or yoga teacher, this book is probably for you – it’ll help you learn about the muscles, joints, and bones in a way that is fun and entertaining (and calming!). Discussions, illustrations, practical advice on the spine from both an anatomical and a modern yoga perspective. Among other things, this book addresses the issue that most of the time spent in yoga classes is spent on stretching and flexibility rather than strengthening & stability. According to Garrett, this book is an absolute must-have for yoga teachers. By the same author, Your Body Your Yoga is also an informative read for yoga teachers & curious minds. Jaimee is our very talented editor; she discovered the transformative power of yoga during the final years of her Ph.D. in molecular biology – which she completed with the significant help of her practice. She is currently a lung researcher, a yoga teacher, and ambassador for the Africa Yoga Project. Besides writing and editing, Jaimee enjoys hiking, traveling, fishing and learning about spiritual practices of all kinds. She lives in Boston, Massachusetts. Yogis have heard of this one so often, and that’s for a reason: The Power of Now is such a simple tool for finding contentment. According to Jaimee, Tolle’s writing is straightforward and easy to interpret, and she finds herself coming back to read it over and over again. You can’t go wrong with this one. Ah, the Bhagavad Gita, the famous story of Arjuna and Krishna, an ancient text that often makes it to yoga teacher training curriculums. In this translation of the Bhagavad Gita by Stephen Mitchell, you’ll read pure poetry. He manages to take the ancient concepts of this spiritual book and make them accessible and beautiful to a modern audience. Perfect for our curious modern yogis out there! That’s it for our conscious holiday gift guide – we hope you found some inspiration and that you’ll consider supporting the creators behind these items, courses, and books. We’re so grateful for the work fellow human beings put into our collective mental & physical well-being! Disclosure: Links marked by * are affiliate links, meaning, at no additional cost to you, we will earn the commission if you click through and make a purchase. Previous ArticleGoat or Ashtangi – How Yogi Are You? I am loving all of these links! Checking out some swag right now…namaste from one yogi blogger to another!